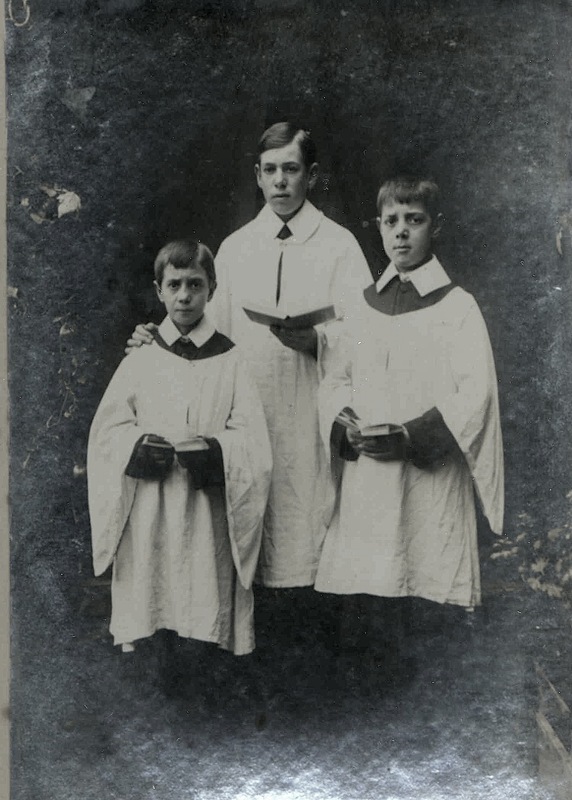 William Sutton (middle) and Bob Sutton (right) taken in c1909 with their younger brother Frank, who died in 1919 during the influenza epidemic. 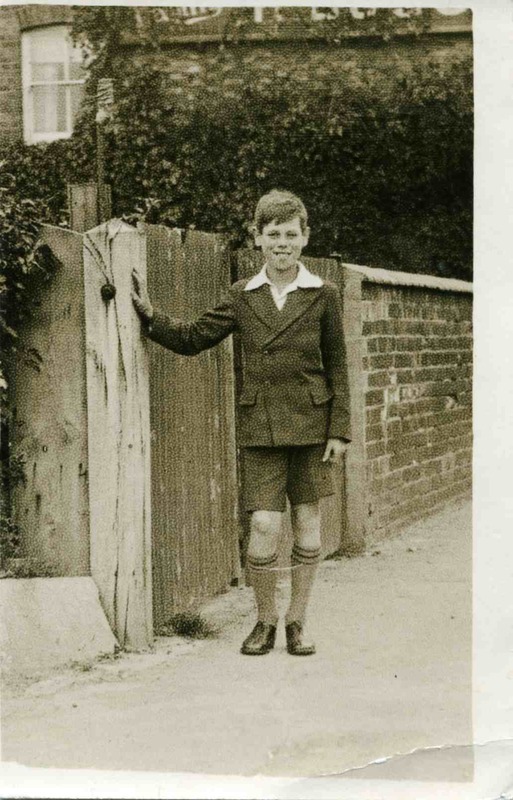 Perhaps Bill's first day working at the Vineries nursery on Belvoir Road. 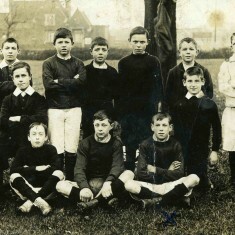 This would date the photograph as 1907 given that the school leaving age before WW1 was 12. 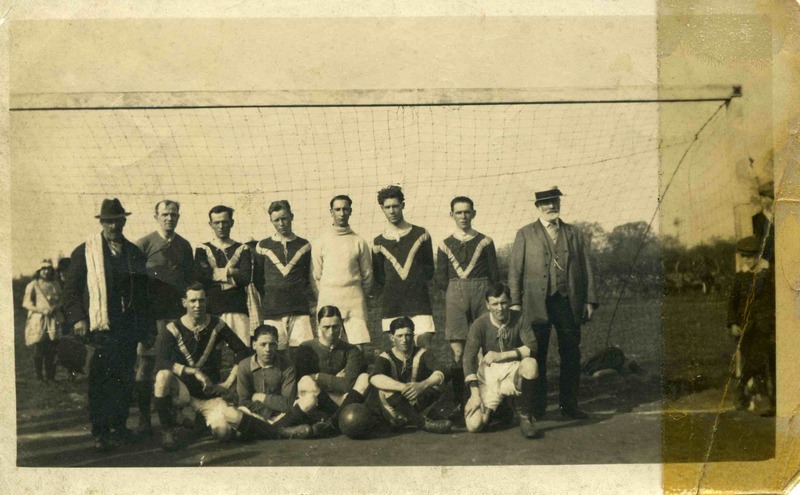 The green houses (left) and the water tower (right) can be seen in the background. 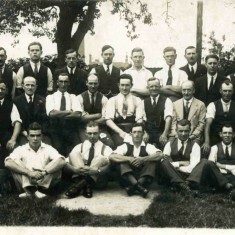 A classic studio image of the type taken of so many who volunteered for action. 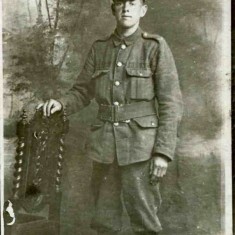 This shows Bill as a private in the Leicestershire Regiment. 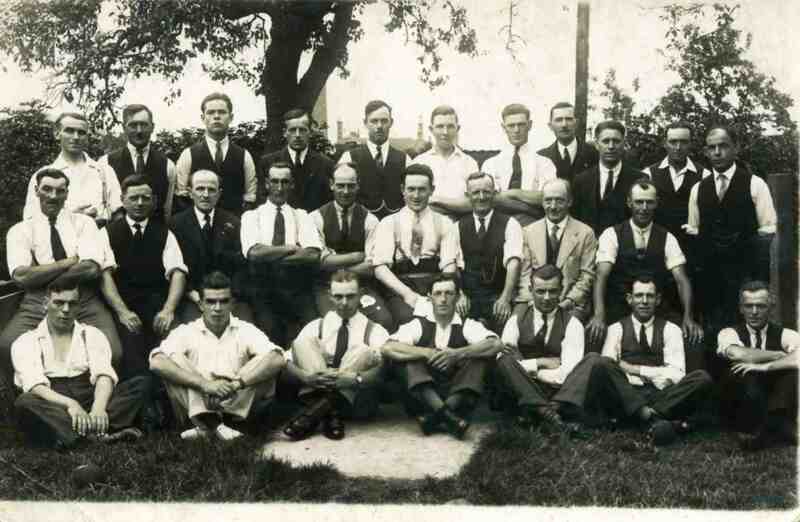 Bill in the company of fellow soldiers - perhaps members of the Serjeant's Mess given their stripes. 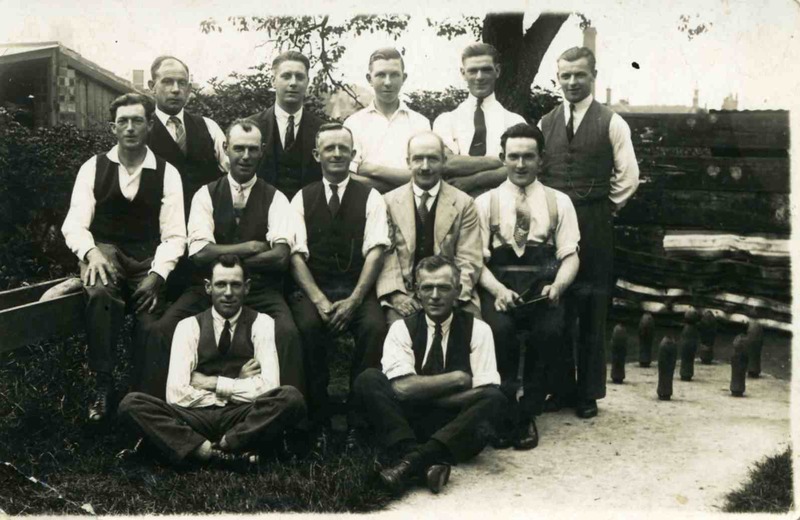 These men do not appear to be from Bottesford and it seems to be during some period of leave given the relaxed pose (cigarettes in mouth and the 'dress' of the hats) outside a Restaurant and Bar. 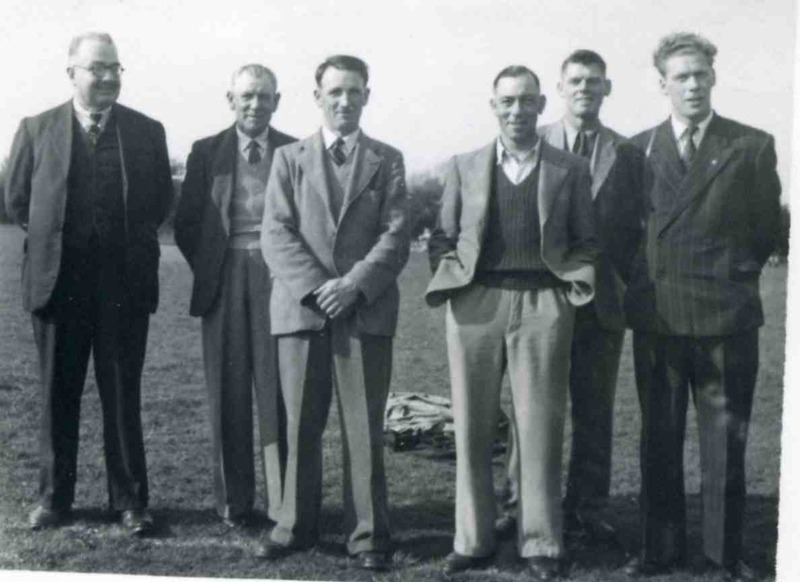 They are all wearing long trousers - maybe they were in a colder European climate at that time. 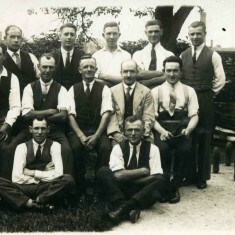 After Bill's promotion to Corporal. 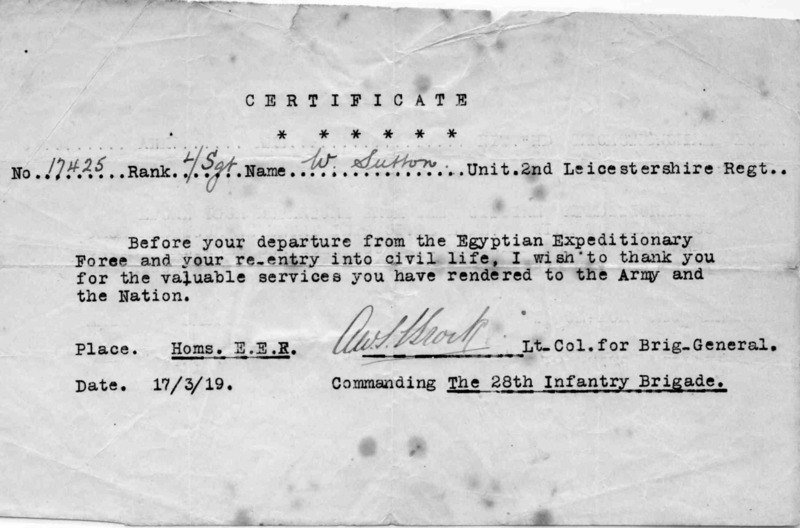 His demobilisation paper shown below give his rank as Lance Serjeant. 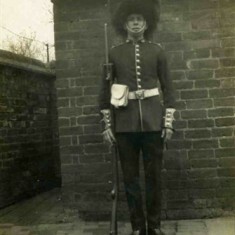 This rank was given to a corporal who undertook the duties of a serjeant. 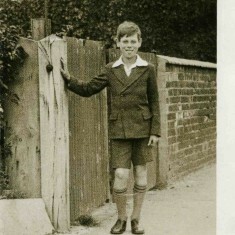 His uniform looks one for use in the Middle East given the shorts. 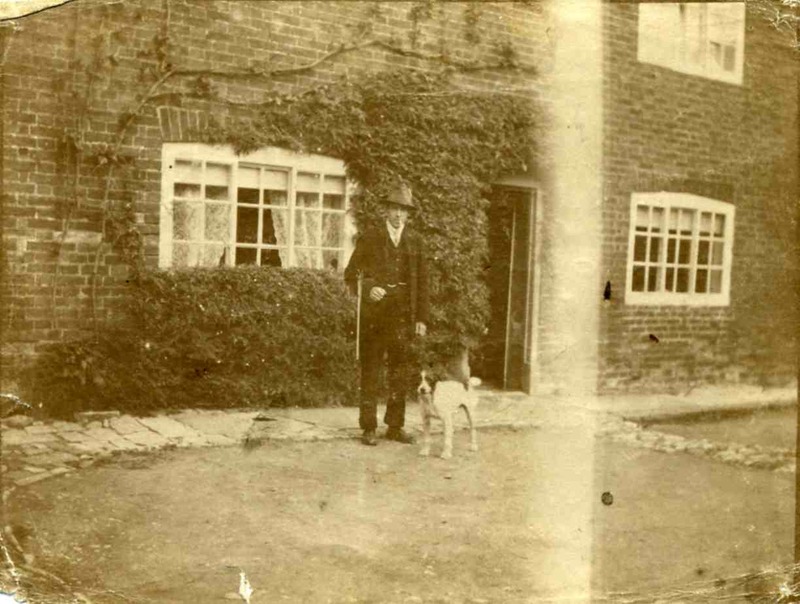 Wiliam Sutton outside his grandfather house (John Sutton's) at the site of what is now 13 High Street - where a bungalow now stands. 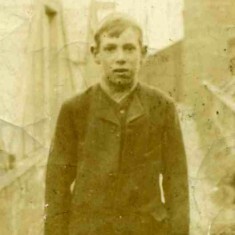 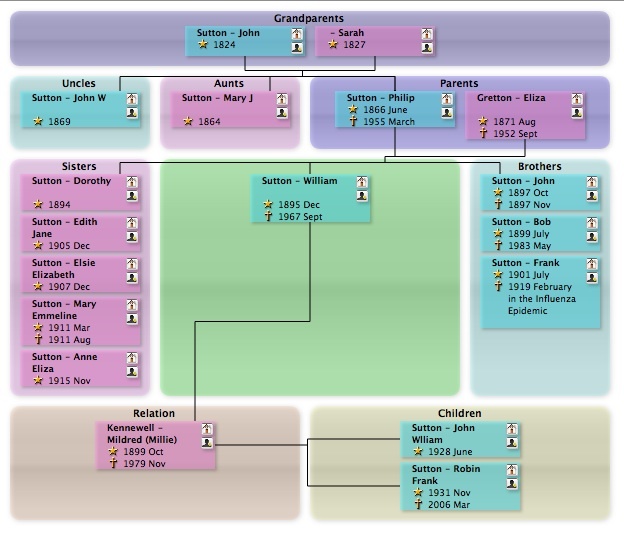 Born in 1895, William (Bill) Sutton was the son of Philip and Eliza Sutton. 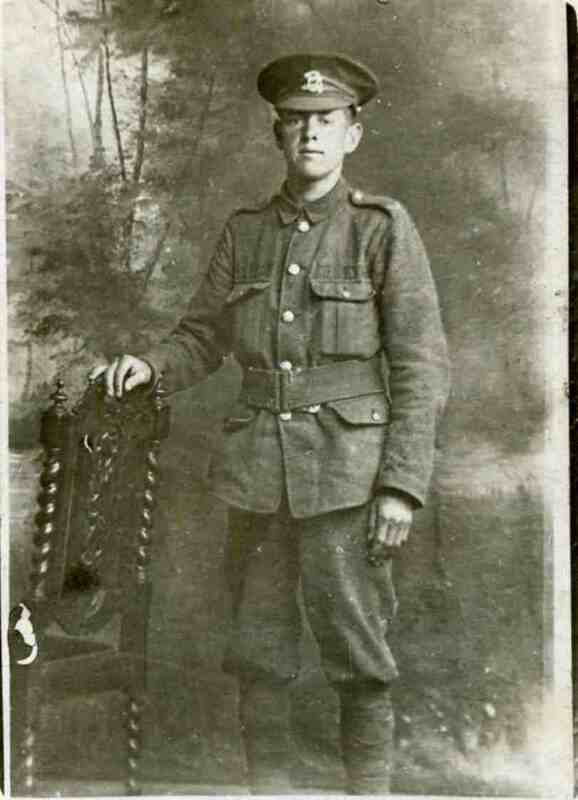 The eldest son in a family of 9 children (two of whom died in infancy) he and his brother Bob Sutton survived active service in the 1st World War. 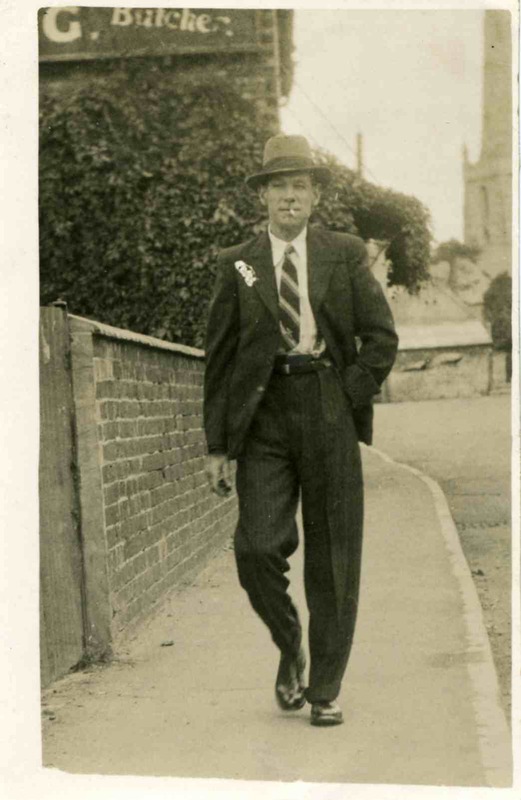 Returning home to Bottesford he worked, married and contributed to rebuilding post war community life. 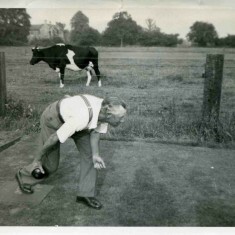 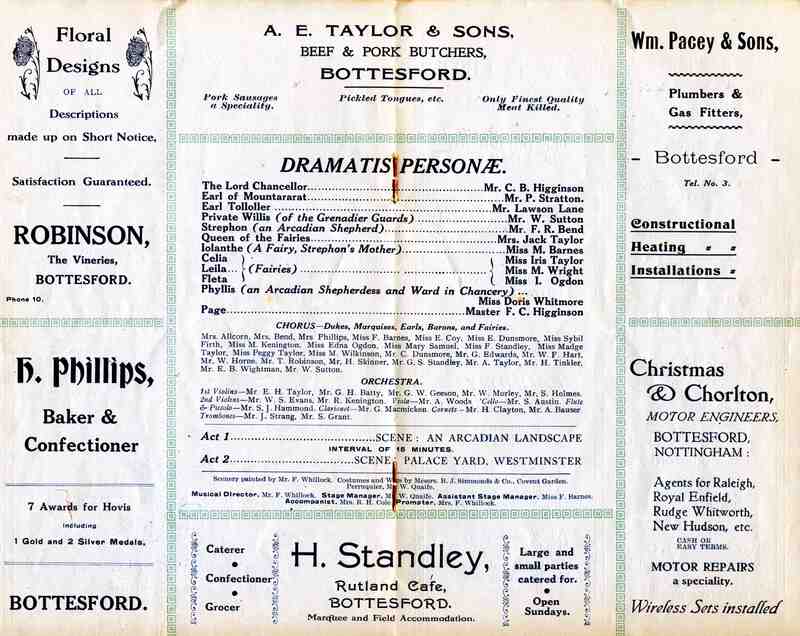 Photographs of his activities provide a fascinating glimpse into Bottesford in the first half of the 20th Century. 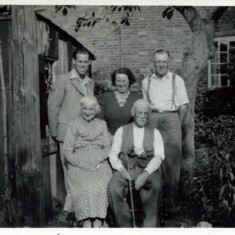 We are most grateful for the recollections and photographs provided by Mr Bill Sutton (William’s son) and Mrs Barbara Sutton. 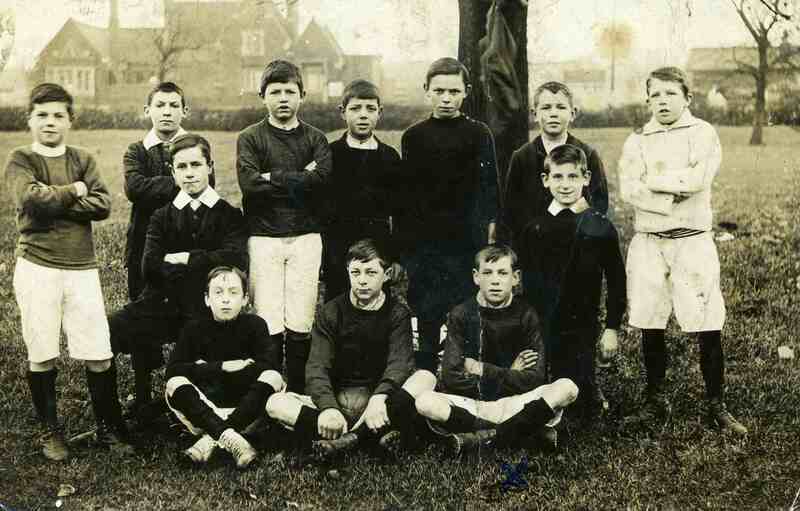 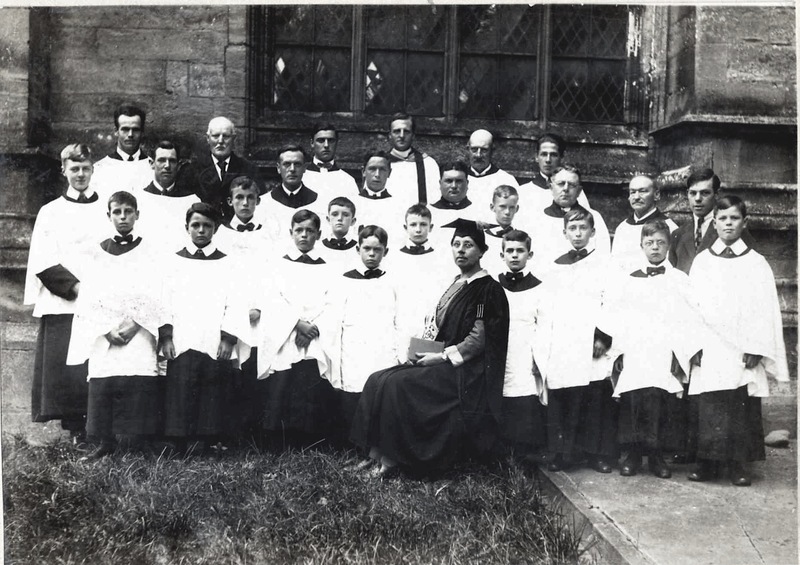 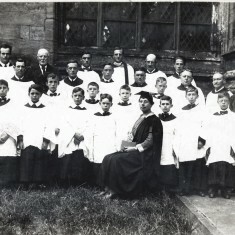 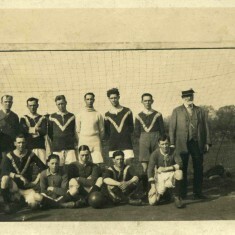 While at school, William was a choir boy and a keen footballer. 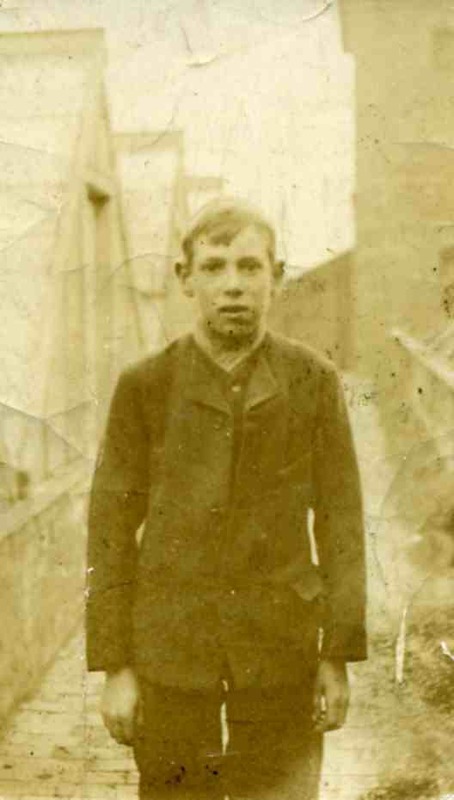 He would have left school at 12 years of age. 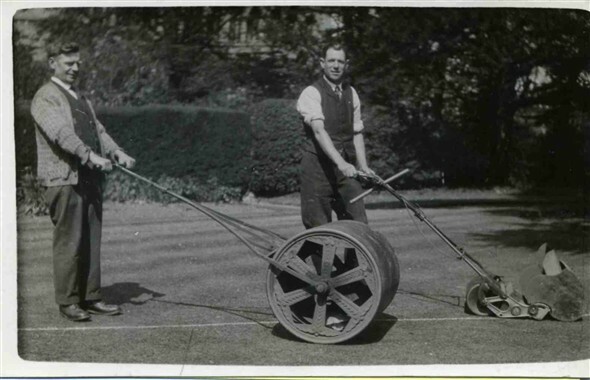 His first employer was Mr. William Robinson who owned The Vineries in Belvoir Road. 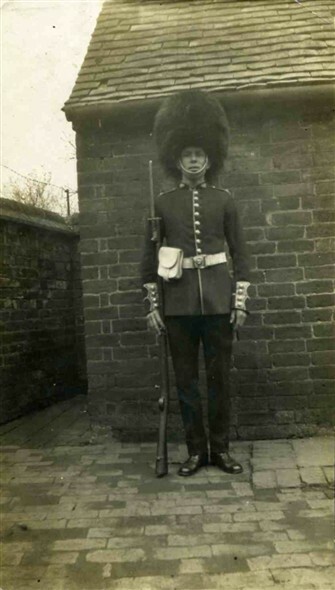 He became a gardener but when war broke out ‘he answered Lord Kitchener’s call’ volunteering to join the 2nd Battalion of the Leicestershire Regiment. 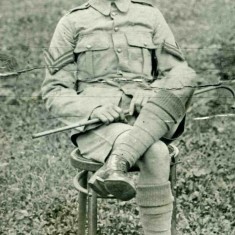 He saw service in both France and the Middle East as part of the Indian Expeditionary Force. 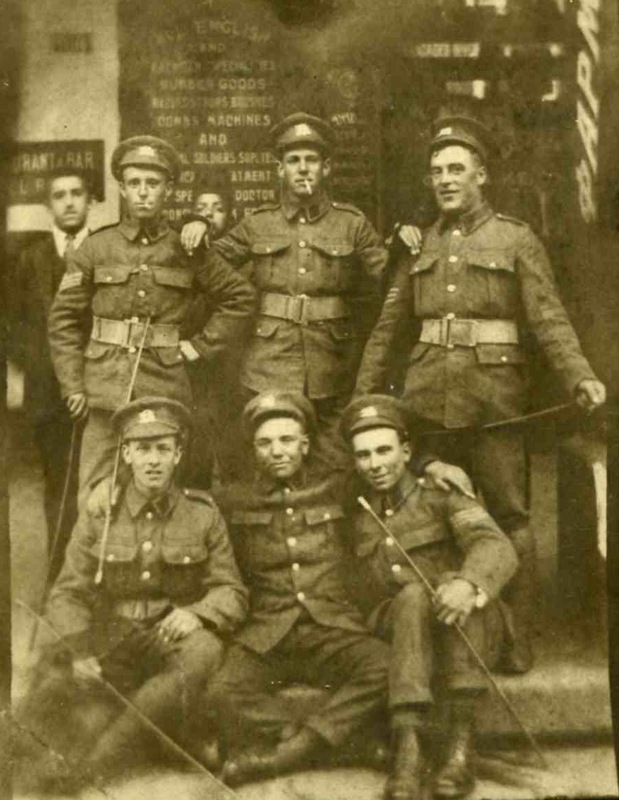 Regimental records show that the ‘2nd Battalion landed at Marseilles for service in France. 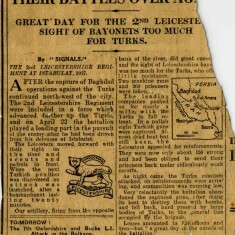 Moved to 28th Indian Brigade in Egypt, 7 November 1915. 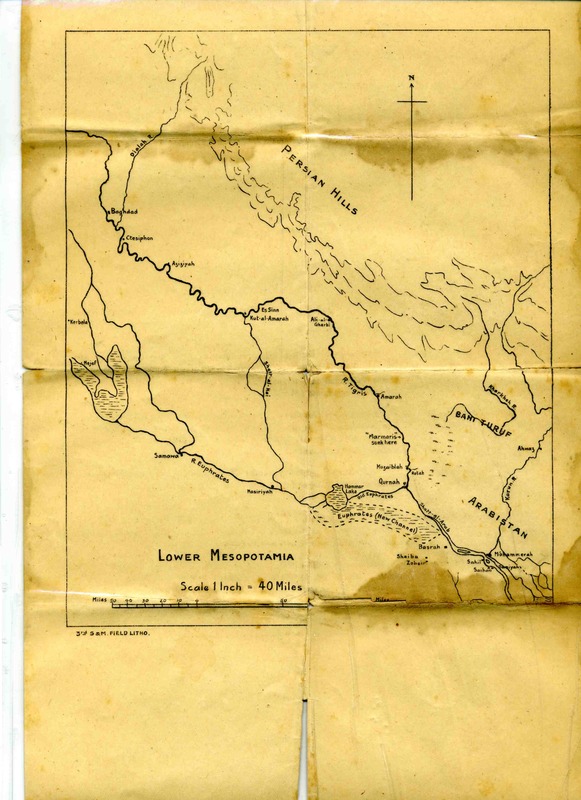 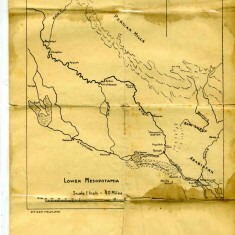 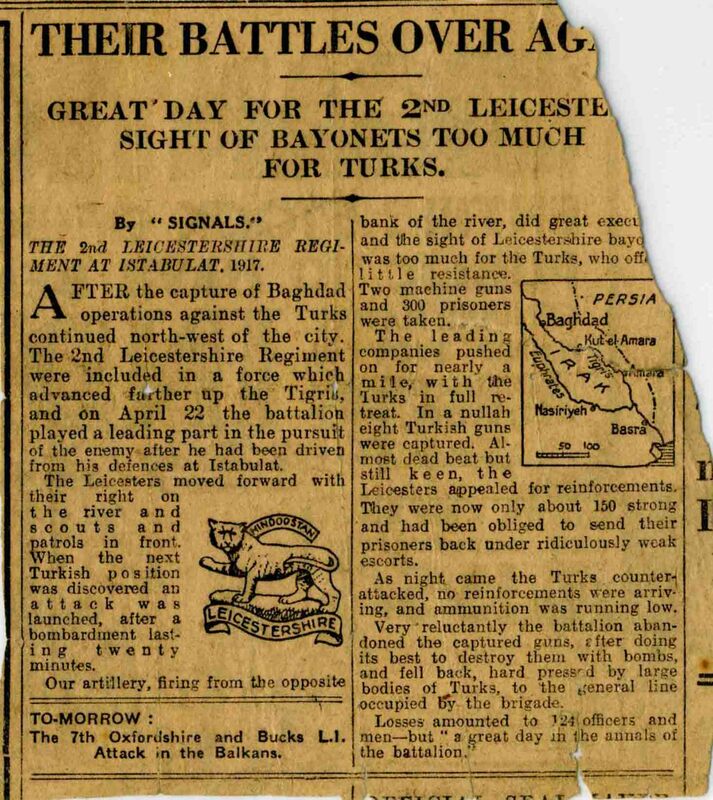 Early December 1915 moved to Basra in Mesopotamia, rejoining 7th (Meerut) Division. 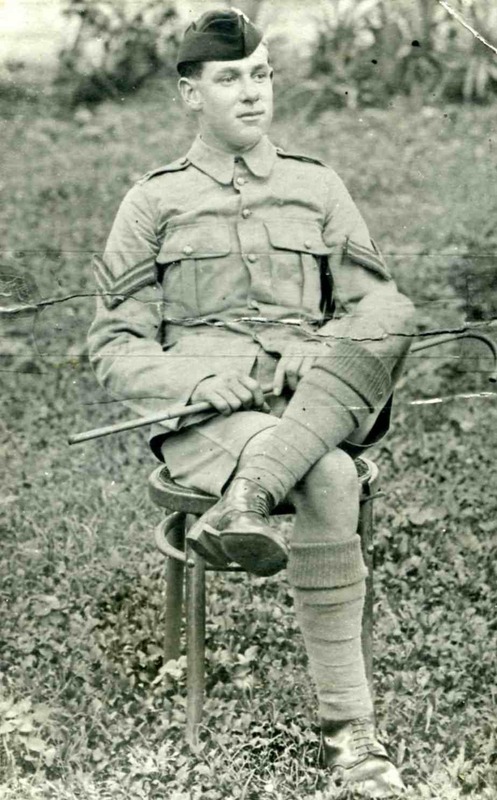 Landed at Suez on 22 January 1918 and took part in Palestine campaign.’ The photographs of Bill Sutton’s military service reflect his service in these different theatres of action. 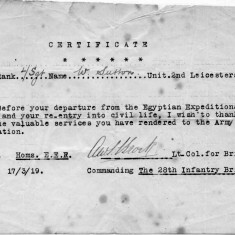 He was promoted to the rank of Lance Serjeant in the 2nd Leicestershire Regiment which was then recorded as part of the British Army Egyptian Expeditionary Force. 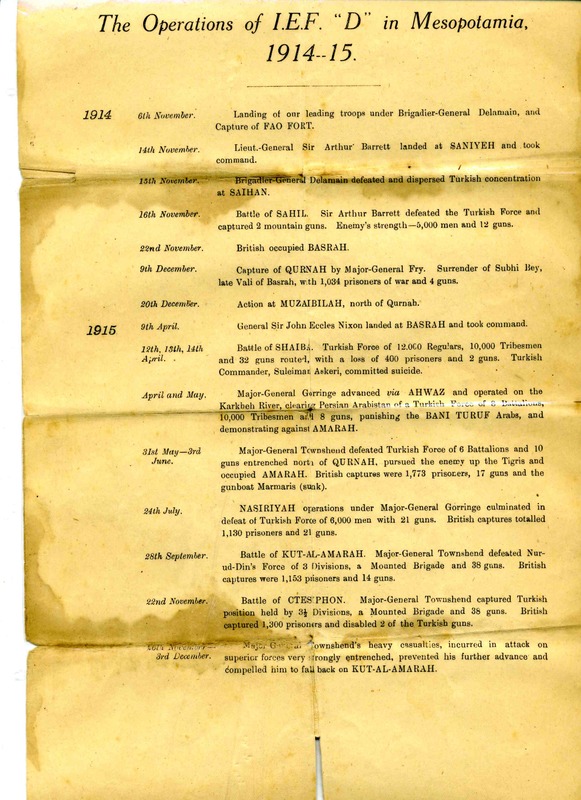 The 1st World War engagements, between 1915 to 1918, with Turkish forces were along the Euphrates and Tigris Valleys between Basra and Baghdad. 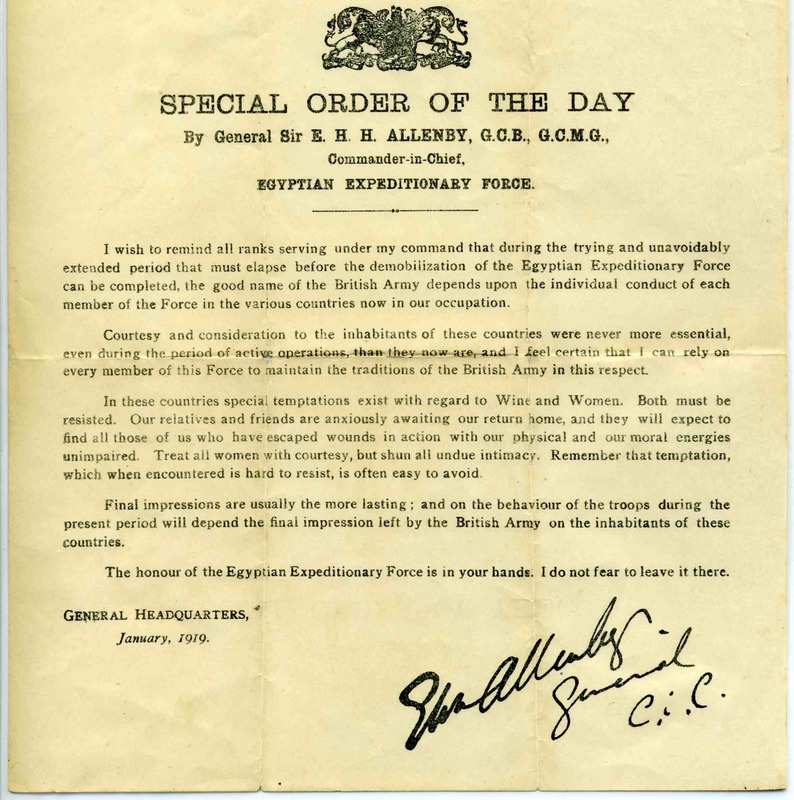 Operations were prolonged and not without set backs as can be seen from the documents that William retained after his demobilisation on the 17th March 1919, some four months after the war ended in November 1918. 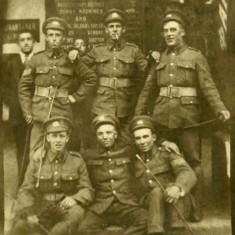 Those must have been difficult times for soldiers eager to return home. 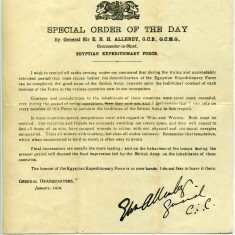 Some idea of that can be gathered from the a copy of a ‘Special order of the Day’ to the Egyptian Expeditionary Force issued by General Allenby, their Commander in Chief, in January 1919 concerning the expected standards of conduct of soldiers no longer engaged in active combat. 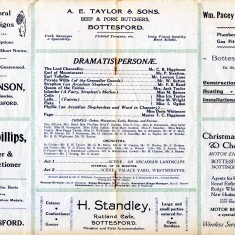 William Sutton retained this war-time memorabilia after his return to civilian life in Bottesford. 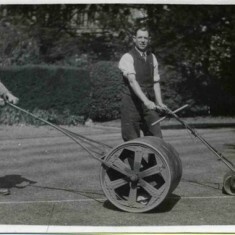 His war time experience must have been in stark contrast to the rural childhood and early pre-war working life. 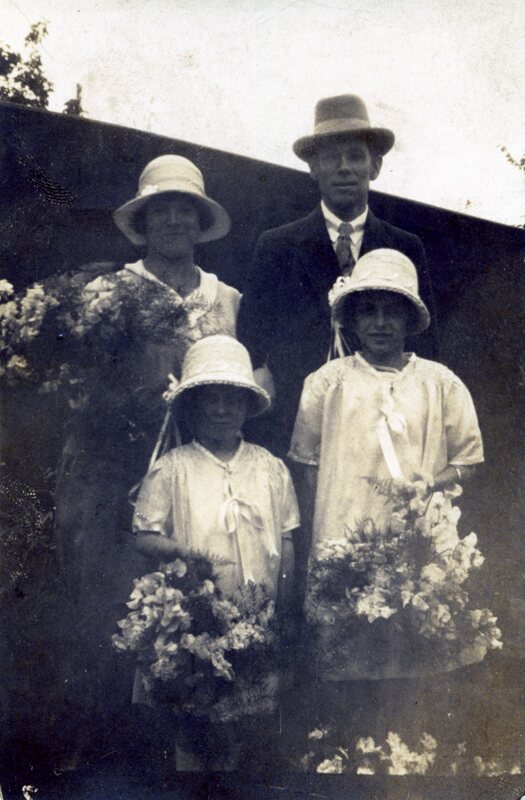 He returned to Bottesford to take up employment as a gardener for the Reverend Walford and married Millie Kennewell in June 1926. 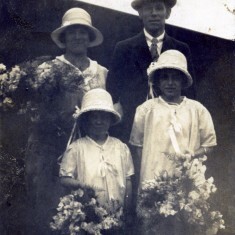 They started married life in Butcher Row on the High Street (now demolished). 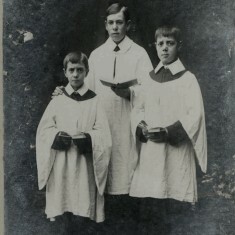 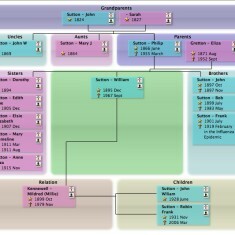 Both their sons, William and Robin, were born there in 1928 and 1931 respectively. 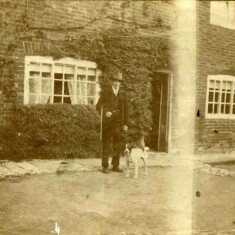 The family then moved to No 11 High Street (the cottage opposite Queen Street). 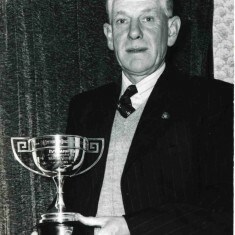 He became an active member of a range of community activities, including the Bottesford Amateur Operatic Society, the Church Choir, the Long Alley Skittles Team, the Bowls Club and Cricket Club, the Oddfellows. 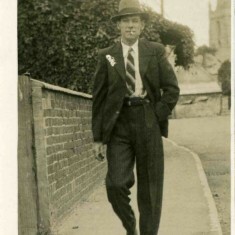 He was also elected as a Parish Councillor. 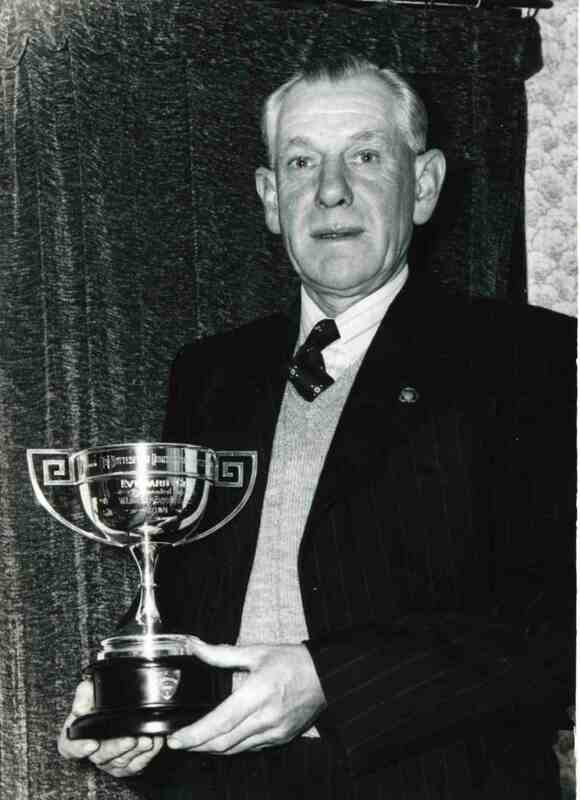 He took pride in the flowers and vegetables that he produced both for the Rectory and prize winning entries for local horticultural shows. 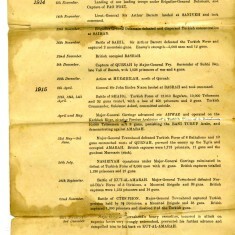 This page was added on 29/04/2008. 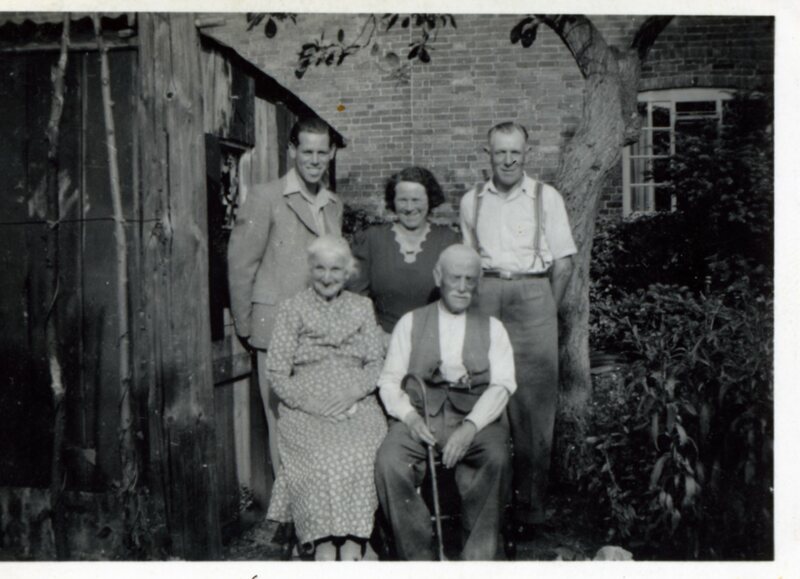 Many thanks for your interest. 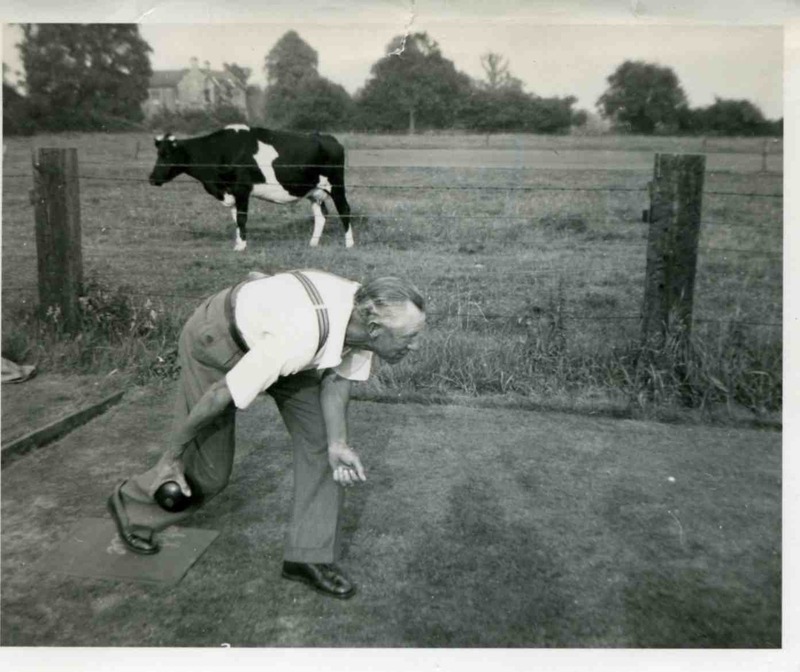 Please do let us know about your research. 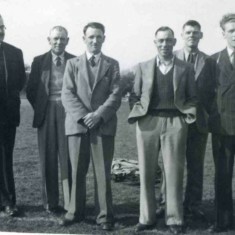 We would be most grateful to receive any furthers details about Bob and Bill Sutton to add to their web pages.